I haven’t written in quite a long time. In fact, it’s been months. It’s not that I haven’t had anything to say, but I was in a dark place for the last few months. Depression is a terrible disease that haunts my life from time to time. Luckily, there is medication that truly helps me but needs to be adjusted from time to time. It was past time this particular time. I have been in the darkness before, but this was the darkest of times. Never have I contemplated my purpose on this earth or lack thereof. This time was different. I looked at my family and thought they would be much better without me around. Still, luckily, I was able to dig my way out and not take any action on these negative and dark thoughts. The fact that I cried every day just goes along with the depression. I couldn’t find any joy in life. I just went through the motions of life without actually living for months. I found myself trying to find a reason to get out of bed and not being able to most days. Even leaving my bed to go to the kitchen to find something to eat was more than I could bear some days. I wouldn’t wish this disease on anyone. Somehow, by the grace of God, I knew what I had to do, although I had so much self doubt that I didn’t believe anything could draw me out of such a state of despair. My physician is amazing and luckily, I responded well to the increase in medication. Some people aren’t so lucky. Some don’t look for help. Some take their lives. I understand now. I managed to go to work. My co-workers were not privy to the inner workings of my darkened mind. In fact, I felt better there. I felt more whole and needed but it was so hard to get there each day. Depression hurts not only the person suffering from it, but their loved ones too. I know my family were at a loss as to what to do about me. I didn’t know at times. If someone you know suffers from depression, get them the help they need. Call a doctor. Call a counselor. Call a hot line. Get help before it’s too late. We often won’t tell you how bad it really is. This is exciting but difficult. Change is hard whatever it may be, and for me that change is my love for food and making it quick and easy. I know it’s only the second day and it will take time to make my changes a habit. I’m not depriving myself either. I believe in the weight watcher’s approach to a new me. If you deprive yourself, you just focus more on what you can not have and that stinks, but having a little bit in moderation at certain times always helps me. Tonight, I was craving Mongolian beef. I had a small portion of beef and smaller portion of rice, but it was enough to satisfy my longing. I had budgeted calories in my day for this dinner, too, so that I had enough in my bank, so to speak, to enjoy my dinner and not have to worry about ruining my diet on the second day. It’s so difficult to want to trim down my calories each day while wanting to boost calories for my kids who are still growing and in need of them. While they enjoy earing healthy, they also enjoy comfort foods, too. I guess I’ll have to learn how to make those a bit healthier and more calorie friendly since hubs is joining me this time around. It won’t hurt the kids either to have those comfort foods in a healthier version. Granted, most of our homemade food is already fairly healthy, but could use some tweaking. Another experiment for hubs and I. Our greatest challenge is always what t of eat first dinner. I see that we will finally be planning out our menus like I’ve been wanting to do for quite some time now, but the challenge will be adding the healthy aspect to our recipes. Any ideas? We love our crock pot and I see some ideas meandering around in my brain with ingredients and the like to attempt. I’ll be sure to share my creations if they are tasty. As we age, the years tend to fly faster and faster. This year has been like that in some ways but has dragged on in other ways. It’s hard to think that these last few months have flown by already and we are nearly at the end of 2016! Last year at this time, we buried my wonderful mother. It seems like yesterday that I was chatting with her but at the same time it seems like it was years ago. How is that possible that life continues like this? God helps us through these times of sorrow and our family and friends get us through as we come together and create a community of love and hope to make it through the tough times and come out on the other side refreshed and smiling once again. Earlier this year, I had surgery that turned ugly. I ended up having a life threatening infection following the removal of my spleen and partial pancreas removal. What a whirlwind! There were days I thought and wondered if I would ever make it through that and see my children grow up. Here I am thanks to the incredible love, again, of my family and friends. Without them, I am not sure I would have had the strength to go on. I sent my second daughter off to university which was hard, but not as hard as sending my first one off emotionally. I knew she would be home often enough but it is still another thing to have to get used to. Another change for our entire family just to make things interesting! She loves her school and has made so many friends already. Now she is home for a month a I’m so excited to have her home. My oldest has moved out of the house for good which is another change but I’m so proud of the young woman she has become. My oldest has grown up so much over the last year. She got a job and bought her first car. She has made herself a place in yhis world and is making her own roots. She will always be my baby girl though. Hubs and I have only 2 at home now. Very strange how that family dynamic changes so much. Usually this is alright with a few exceptions. Our exception is when my youngest has homework time. My youngest has ADHD which makes the end of the day… well… interesting when I’m working. Luckily we have the best 4th grade teacher this year. She is a tough cookie but very fair and loving with our little guy. She expects his best and he fights tooth and nail! This little man will get through the fourth grade and it will be thanks to his marvelous teacher. This year has been one heck of a year and one that I would like to mostly put in the past. There have been bright parts to it as well, and those moments have gotten me through the tough times. Looking forward to the new year, I am looking forward to a year of great relationships with family and friends. I look forward to a healthier me in 2017 with hubs and I working on healthy choices for healthier bodies in the new year. I believe that 2017 will be a much better year than the last 2 years have been. So I say, so long 2016 and bring on 2017! Well, I was just done posting this and somehow deleted the whole thing! Ugghhhh! Yes, it was an accident. I was happy with my writing only to have to recreate the post in its entirety. That being said, what a wonderful theme to write about, the holidays. Holidays are times for family and friends to gather and be merry. I’m nearly done with my interior decorations but we haven’t done much outside yet. I have shared some of my Christmas crafting in a previous post, and I am able to enjoy some of the fruits of my labor. I’ve also made gifts for friends this year, but I’m not quite done. does it ever seem like you are never quite done, or is that only me? Decorations are a big thing in our house and it’s so nice to enjoy them for those few weeks before we take them down and decorate for the next much smaller holiday of valentine’s day. With the discerning eyes of my 15 year old and myself, we have managed to whip this place into shape for Christmas but we have more plans, or rather, I have more plans. Bringing them into fruition is the next challenge. 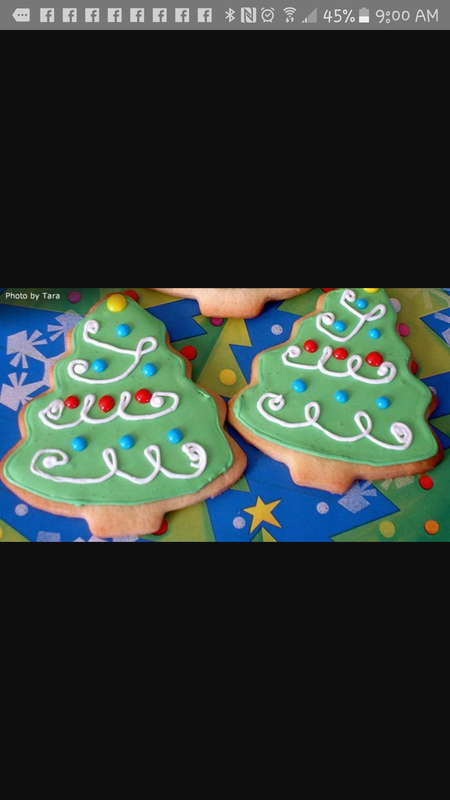 Our next big holiday tradition is baking cookies, or course. The 15 year old wanted to make cut out sugar cookies yesterday but alas, the 1nswer was a resounding NO! Am I a mean and cruel mom? No, but the 18 year old will be home Monday and would be so upset if we made those without her. That’s a family affair in this house! 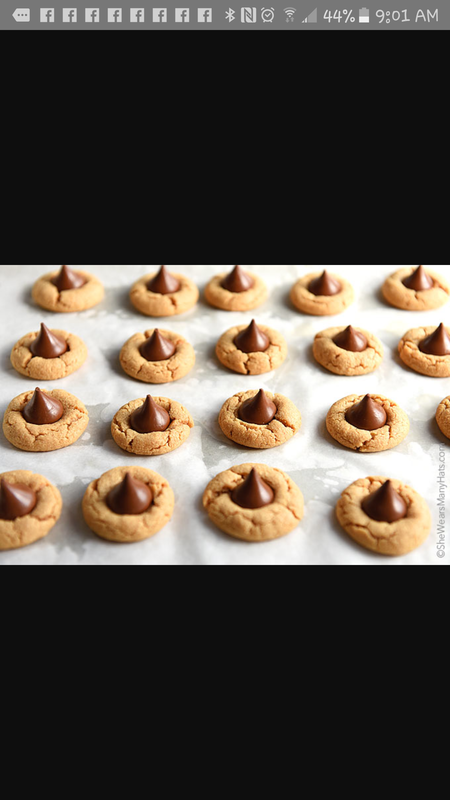 if you don’t like to war these cookies, you must have something wrong with you genetically! They are the best cookie in the world hands down. 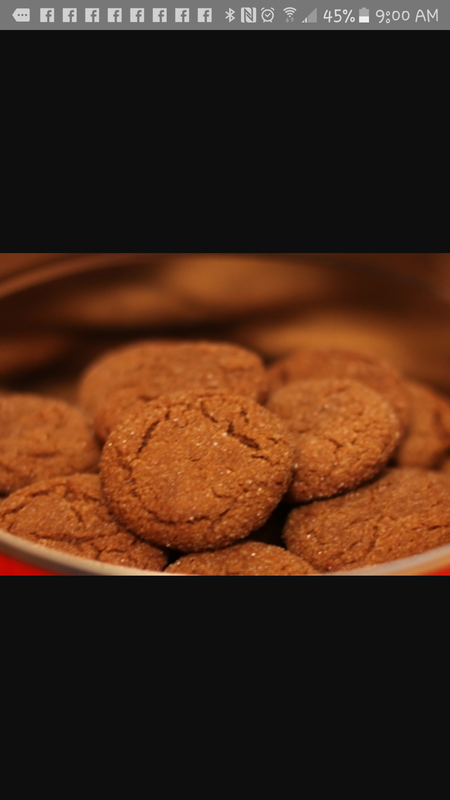 Granted, we make many other ones like Swedish spice cookies, peanut blossoms, and a variety of others. These 3 are the staples of our Christmas baking. I can’t wait to have most of the family together. Tomorrow is the day I’ll get to pick up my baby girl from school! She’s coming home for a month ya’ll! My oldest girl will be in California for the holidays and my dad and brother will be in sunny Florida. I will still have the boy and my minime. I will also have my sweet and dear father-in-law for Christmas. He has to be the easiest guest ever! Being together and celebrating Christmas us such a special tradition. We celebrate the birth of Jesus by heading out to midnight mass each year. Usually, my girls are singing but this year they will not be which will be strange. With one in California and the 18 and 15 year olds at their dad’s Christmas eve, you will find me with my remaining boys in our usual spot are the church listening to the joyous and holy music and liturgy, all the while I will be thinking of my mom and nanan who have passed from this earth to join in the heavenly celebrations with the saints. I will be thinking of my daughters, my son, my dad and my brother, praying for their joy and health. I will be thinking and praying for my friends and relatives hoping their Christmas is blessed by happiness and love. I will pray for those without home, family or friends to be with at this time of year. I will try to make a difference in someone’s life this year as a always try to do each year. I will try to be joyous and bring joy and peace to those around me and to those whose lives I’ve been blessed to touch, if only for a moment. This is my Christmas wish. What’s yours? I have spent the last week and a half with my beloved dad. It’s the time of year when mom and dad become snow birds and migrate to sunny Florida. This year it is just dad though since we lost mom last November. Today would have been her birthday. She would have been a very young 87. Traveling with just dad has been a wonderful experience and a treasured one at that. sitting amiably in the car chatting or sitting quietly, he is a man of few words, we just get along well. We took our time and enjoyed our trip driving south through several states enjoying the changing scenery that makes up our beautiful land. We even stopped and shared a pecan waffle at the Wafflehouse in honor of mom, because no trip would be complete without a pecan waffle and a cup of tea in her humble opinion. Since arriving in the beautiful southwest part of the sunshine state, I’ve shopped and dad has taken care of things he needed to. I’ve helped him with all his technical issues and we have gotten him settled. We have eaten so well that when I get home, I probably shouldn’t eat for a month! Life here is on a different pace. It’s as if everyone is on a permanent vacation where he lives. I suppose they are. It’s a slower, more relaxed pace where people have time for one another. I’ve gone to the beach, of course, but I prefer the pool. Going to the pool each afternoon I find the same group of characters. I call it social hour. Everyone catches up with the latest goings-on in the community. It’s truly an amazing place to be and they have made me feel so welcome. Just today, I had a glass of wine by the pool with these fabulous people. Such fun. And boy was it good! The shopping is always good here but I was hoping to find a few more things at my usual stores which I didn’t. Had I gone to my other usual stores I may have but I don’t want to spend all my money. I look for bargains only. That I found. There are loads of high end stores but I don’t want to spend everything when I don’t have to. There is nothing better than the sound of the waves hitting the shore, in my opinion. Stress melts away instantly while just sitting there listening to the lapping waves and the sounds of the sea birds. I went only one day this time to the beach, but my stress from the long drive instantly disappeared as I sat there enjoying the sights and sounds for an hour. It was a cloudy day so I had the beach pretty much to myself. What a joy and spectacle to behold. Soon it will be back to the Midwest for me. Not that it’s a bad thing to go home but I miss this place when I leave it. This is my favorite place on earth. The sun shines so brightly here and the temperature is always warm and delightful. Knowing that I’m going home is like a double edged sword. I miss my husband and kids, I miss my own bed, but I don’t miss the weather. I especially don’t look forward to the winter. But life is what it is and maybe someday I’ll get a chance to love a life down here. It is my dream. Someday. It is that time of year again. It’s time when the leaves are nearly off the trees aad the weather starts to get that chill in the air again. It is also time for the annual trek to the sunshine state with my parents, but this year I make this just with dad. So many times I’ve written about my mom’s death lately, but this trip was always about time spent with both of my beloved parents. This year is so different, but so very much similar at the same time. Dad is my co-pilot while I do the driving. He’s amazing! he may be 86 but you would never know it. We spend some of the time chatting and yet, unlike when mom was with us, there is a lot more silence. He is a man who thinks and thinks a lot. A man of few words. Mom and I would solve all the problems of the world by the end of day one of our journey. Not so much with dad. He probably already solved them all but he’s not sharing the answers. Darn it anyway! There is a bunch more room in the car because as dad says, mom packed everything but the kitchen sink and started a week ahead. Little does he know but that’s called being a mom. Must be prepared. I will say, however, he remembered to get bananas for our trip snack. It’s sort of a tradition. I do miss mom’s sandwiches though. We took the little car this trip which is strange to me, but it is brand new and really high tech. I sort of feel like I’m in a tiny space ship with all the buttons and gadgets. VErykah cool indeed to one who loves that stuff, like myself. I am so very blessed to have this time to spend with my dad. He is such an amazing and intelligent man. He exudes love and generosity. He takes care of his own and spent his entire life caring for others. There is no one quite like this patient, quiet man. Our trip may not be the same without mom, but it is such a special time for just the two of us. I’ve always been daddy’s little girl and I’m so glad I am because God gave me the very best father a girl could ask for. This used to be one one of my favorite times of year, wI think the weather changing to crisp, autumn days and nights in need of cuddles, but last year something happened that changed , your life forever. My mom, my best friend, my mentor, had a hemorrhagic stroke on October 21st. That day will forever be the day my world was turned upside down, never to be the same again. My mom was a woman of great strength to all who met her. She exuded energy and ultimately life itself. Never did anyone imagine that in a blink of an eye all that life would be changed and then lost just 5 short weeks later when she would take her last breath. This was the woman I looked up to always for guidance. She wasn’t allowed to just not be here anymore. What was I supposed to do now? This year has seen many changes brought on by the catalyst of mom leaving this world for the glory of heaven. I have changed and I hope for the better. I don’t take days for granted anymore or the joy of my family. I’ve switched jobs and I am no longer scared of change like I once was. I am happier in some ways, but the fact still remains that I am now, a motherless child. It makes no difference how old you are when you lose your mom, you always need her. I was very fortunate to have her as long as I did. I know, because of her strength and teachings, that life goes on and that there is still beauty in this world. Last November I wasn’t quite so sure as the days turned into weeks in the hospital. I am blessed that mom was here for me when I graduated high school and college, got married, had kids, got divorced, got remarried and had another child. I am blessed now that she is in heaven watching over all of us, probably having a good laugh most of the time and shaking her head the rest. the bottom line is, I am truly blessed. I still cry just not so much anymore. It helps me get through the pain that lingers still and I’m sure always will. We have made it through all the firsts with the exception of just a couple coming up. Her birthday and the first anniversary of her death. I still want to pick up the phone and call her. I always will. I miss her voice so much. I wish I could talk to her and hear her reactions to my stories. I so miss her laugh and her little clearing of her throat. I just miss her, but she remains in my heart, always. My mom always said she would be my best friend someday when I was a teenager and I never believed her. Funny, she was right as always! I wish I was that smart with my kids! Since mom’s death, I treasure my family even more than before. I drive even more safely. I don’t take unnecessary risks, not that I did before, but I’m not in a hurry to leave planet earth for a long time yet. Maybe when I’m 90. Maybe, if the kids are okay. Lately I’ve been working on trying to clean out my house a little bit at a time, one room at a time, one space at a time. it amazes me how much junk we all accumulate over time. I am no exception. my problem however, is that even when I am not particularly attached to certain things, I still somehow feel like there should be a place for those things that I may need. I am ever the work in progress and so is my family. I can honestly tell you some members need more motivation than others and some need more help to rid themselves of the clutter. My problem has been the lack of motivation to begin the process. I then have to think whether or not I have used the items within the last year. if the answer is yes, and I still use it, it’s a keeper, if not, I have to ask why not and then either put it in the give it away or throw it away bag, whichever is appropriate. I’ve found it is really cathartic to get rid of things and simplify life. We all seem to hold on to clothes as well as other memorabilia but as we age, we suddenly realize that it is unnecessary to save every picture and project little Johnny made growing up. there just isn’t room in the house, no matter how great is was. If you’ve been blessed with more than one child like me, you will certainly run out of space! Sure I have saved a few things, but not enough to fill tubs full of artwork and favorite memories. When cleaning out kitchen cupboards,I find it extremely helpful to and skills myself how much do I really use the item. I got rid of so much unnecessary stuff. Hopefully all those items received new homes, as they were in good condition and were given away. One person’s trash is another’s treasure! We still have too much stuff but I continue to work on my simplification of my life. one day, when there are no more kids at home and less pets to care for, I may just have that home I’ve always dreamed of, but for now it’s a home of love that is well lived in. I can live with that and always have my eye on the prize. When you are feeling just a little under the weather or downright sick, we all want our moms at those times. I’m just like everyone else in that respect and in the last few days it has been extra difficult. You see, a year ago my mom has her stroke and was in the hospital. I am reminded each day where I was and how she was doing this time last year. To top that off, I’ve been feeling under the weather enough to warrant mom care. But if you follow my blog, you know that won’t be happening anymore. I am still grieving over the loss of my mom as we near the one year anniversary of her death. I still have another month to go but this is the really hard month, as I sort of relive all those memories of last year. I spent all my days in the hospital with her. I spent my time talking to her, praying with her and for her and finally realizing that her life here was at it’s end. Simply stated, last year sucked and I don’t want to relive it, but I am reliving it in a way, but nearly as an outsider looking in. I have a different perspective this time as I know the outcome. I still cry unbidden. I still speak to her as though she can hear me. I still wait to hear her voice sometimes, but it never comes. I still see her in my dreams sometimes. I thank God for those dreams. I recently had the best dream of my life. I was in my mom’s kitchen and she was making dinner. I could smell the potatoes cooking. Such a realistic dream. Mom where she always was, doing what she did so well. I could smell her even though I could not touch her. I was home. It’s a home I will never quite have again even though I gratefully have my dad and he lives in the house. I no longer have mom. Mom made it home. I know many people understand the loss of one’s mom. This is my journey and I share it with you because that is who I am. We get only one mom in life. I did anyway. One fabulous and incredibly wonderful mom. I miss her each and every day. I will go on missing her as I don’t think we ever truly get over the death of our mother. They make us who we are and shape us into the people we become as adults. I’ve been thinking a great deal about when my kids were little these last few days. I remember bringing them home from the hospital and wondering who each would become as they got older. As parents, we all have hopes and dreams for our precious children. Some of those dreams may be realized but often times those are our own dreams unrealized. Some parents seem to live vicariously through their children trying to release their own dreams often to be disappointed later when their children become who they are truly meant to become. When my children were brand new, I held them each in my arms and wondered at the amazing miracle that had been bestowed upon me. I had become a mom not just once once, but four times! God must trust me a lot, I thought. I had a job to do to raise them and to do a decent job is a daunting thought for anyone. When I brought my first daughter home, I couldn’t believe they let me leave with her. What did I know about being a mom? I was 26 and married, and a nurse, but what if she was truly sick? What if she had cancer? How would I know? Yes, that was my thought when she was 4 days old. She and I cried in the rocking chair in her room as I thought this. I was so scared that something would or could happen to my precious baby girl and I couldn’t protect her. That baby girl is 20 now and no, she never had anything we couldn’t handle. She has had plenty of battles to face, but she has come out of them stronger and better. She’s one strong and amazing young woman. She is my fighter. I’m proud of her and the woman she is becoming. My second daughter was always the worker. Even as an infant she knew her own mind and didn’t hesitate to make it known. She was not an easy infant but as she learned to speak very early, she used her large vocabulary to assert herself and she quietly worked for what she wanted. She is my worker bee and peace maker. My third child was born a girl and grew up as a girl, but never felt comfortable as one. If you aren’t familiar with the term transgender, in today’s society it refers to one born as one gender but feels like the other gender. In other words, they feel like they were given the wrong one at birth. This is my third child, born a daughter, now my son. He is sweet, hilarious and so talented! His artwork is incredible and his ability to figure out music on the piano is amazing! And before anyone judges my child or me, step into his shoes for a moment. Would you choose a life where you were different from your peers? No you certainly wouldn’t. You wouldn’t choose to live in a body that didn’t fit who you felt like you were on the inside either. Before you judge others, think of the life they are living. My sweet, funny, shy teenager would never choose to be judged or ridiculed because this isn’t really a choice. It is who he is, not who he chose to be. He is shy and doesn’t enjoy drawing attention to himself. I am proud of my son who used to be my daughter. I am proud of who he is and who he will become down the road. My last son is all boy. He was born that way. He is just 9.5 years old and is rambunctious and sweet, wild and snuggly, crazy and huggable all at the same time. You can let him outside with clean clothes on and he will come in filthy 5 minutes later. He has my heart. He drives me crazy. He is a conundrum. What will life bring him down the road? Who knows, but I will do my best to raise him to be the best man he can be. Children are a wonder. God’s gift for us to raise and cherish. We are blessed to share life with them and have them. I am truly blessed to have my four amazing kids. How incredible and special each one is and how unique yet similar they are too! It still amazes me when I look at them that they are mine. I will always see them as those little sweet baby faces. I will always remember the sleepless nights and 2 hour feeds, but they’ve grown up so fast. Where did that time go?